Did you know you can upload your own data for display alongside the reference genomes in Ensembl? For some file types, and files larger than 20MB in size you will need to create a URL to attach the data, rather than uploading from your local directory. It’s not difficult to create these URLs, but there are quite a few steps, so read on to find out how! Ever come across a transcript that seems to span multiple genes? These are called ‘readthrough transcripts’, or sometimes ‘conjoined genes’, and they’re more common than you might think. Read on to find out about what they are and what they do, and how we annotate these at Ensembl. Excited for PAG? So are we! You can find several representatives of Ensembl at the conference, if not during our talks, workshops and posters then at the EBI booth 309 where we can chat with you about your data and how to use Ensembl. In this blog we catch up with Ensembl’s 2018 Google Summer of Code (GSoC) students and hear about their now completed projects, and their reflections on the experience. You may have already seen our previous blog post which we published as they were just beginning their projects. Read on to find out how they went, what they learnt and what valuable advice they can pass on to aspiring GSoC students. Excited for ASHG? So are we. You can find several representatives of Ensembl at the conference, as well as some of our close collaborators at the European Bioinformatics Institute (EBI), including GENCODE, the GWAS Catalog, HGNC, the IGSR and the LRG. Read on to find out more about where and when you can see our workshops, talks or posters (listed in chronological order). We would all be very happy to chat with anyone, so if you see us around please do say “hi”! Ensembl insights: How are UTRs annotated? 17th August 2018 by Erin (Outreach)·Comments Off on Ensembl insights: How are UTRs annotated? It’s probably reasonable to assume that the coding sequence (CDS) of a protein-coding transcript model is the feature that is of primary interest to most people who use Ensembl. However, both the 5’ and 3’ untranslated regions (UTRs) are important biological entities in their own right, and it is vital that we in Ensembl do the best we can to represent them accurately. However, the annotation of these UTRs is complicated, so we’re going to focus on exploring the annotation process for 3’ UTRs in this article (Figure 1). 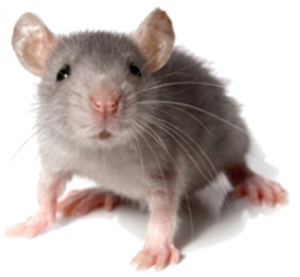 You may have heard us squeaking about our new mouse regulatory build in our Ensembl 93 release blog. If you’re interested in finding out what exactly a ‘regulatory build’ is, and how to view and download this data in Ensembl, then this is the blog for you! 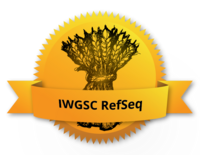 One of the biggest highlights of the new Ensembl Plants release 40 is the inclusion of the new Wheat (RefSeq v1.0) genome from the International Wheat Genome Sequencing Consortium (IWGSC). The path to sequencing the wheat genome has been no easy ride, due to its large and highly repetitive genome. This new assembly from the IWGSC bridges many gaps from the initial genome sequencing effort. Read on to find out more about this exciting new genome assembly! Ensembl Genomes 40 has been released! 17th July 2018 by Erin (Outreach)·Comments Off on Ensembl Genomes 40 has been released! We’ve been tending the Ensembl Plants garden with great care, have cultivated several new species and updated a number of genome assemblies, including a new chromosome-level wheat genome from IWGSC. The protist team have also been busy and are proud to announce an updated assembly for Leishmania major. Read on to find out more about these exciting new updates and more in this new release of Ensembl Genomes! Ensembl 93 has been released! 17th July 2018 by Erin (Outreach)·Comments Off on Ensembl 93 has been released! Are you feline excited for our new pawsome release?! Ensembl 93 has been released, bringing with it two new big cat genomes for tiger and leopard, and an update to the domestic cat assembly. If cats aren’t your thing, we also have a huge new dbSNP import for human and a brand new regulatory build and GENCODE update for mouse. We also have a new hagfish genome, important changes to our VEP REST endpoints, and many more exciting developments so read on to find out more!